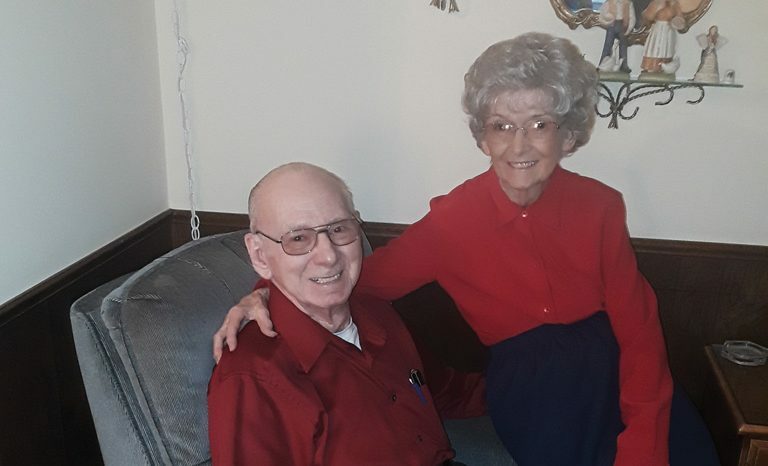 Harry and Betty Wales are quick to tell you that in 1954, when God called them to serve, He promised to provide for them in their faithfulness and He has always done so. Betty and Harry worked their farm in Iowa for 20 years. 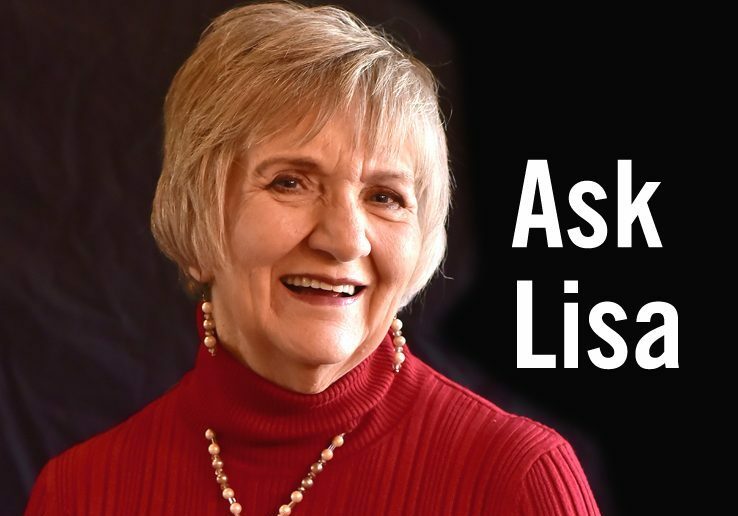 When they received their separate callings, both struggled against accepting God’s call and did not share the news with each other for several weeks. Harry was content in his role of farmer. Betty knew speaking to a congregation was not her gift. Betty laughed as she related her profound relief when Harry told her he had been called by God to the ministry; she then understood her role was to be by his side, standing shoulder-to-shoulder in the ministry. Harry preached to Nazarene congregations across the southwest for more than 40 years before retiring in Oklahoma City in 2000. Throughout his ministry, Harry worked two jobs, enabling Betty to stay home with their two daughters. Together, they served the Lord living each day with the promise that God would provide for all their needs. Although retired, Harry has continued his ministry at the Warr Acres Senior Center (4301 Ann Arbor) for more than 18 years offering support through prayer, teaching Bible study classes, and sharing God’s word. Diane Maguire, coordinator at the Warr Acres center, describes Harry as the ‘chaplain’ of the center. He is always willing to share in joy or sorrow. Betty also continues serving others by making coffee at the senior center every morning, helping with lunch. Harry and Betty are truly extraordinary volunteers, goodwill ambassadors, and faithful to their calling. In November 2018, Harry and Betty celebrated 69 years of marriage. At the glorious ages of 90 (90 is the new 70!) and 87, respectively, Harry and Betty remain firm in their faith that God will continue to provide. Falls have taken a toll on both Harry and Betty this past year. Harry can no longer remodel old houses to provide additional income or to make them habitable for his family. Hospitalizations and the need to be in a rehabilitation care unit with mounting medical bills add to financial concerns. Unfortunately, working every day for more than 60 years does not guarantee you a comfortable retirement. Since retiring, Harry and Betty rely on the monthly financial support of their daughters, a pension from the church, and the graces of past congregations. When the air conditioning in their home went out this past summer, a former congregation stepped in to replace the irreparable system. Those who know Harry and Betty best, will tell you it is a joy and honor to help them. Their optimism and complete faith that God will provide shines in all they do. Because friends are doing yard work, helping them exercise, making minor home repairs and providing other needs, they are surviving retirement. Surviving is defined as remaining alive. Merely surviving retirement is never the goal – it’s not how we envision ourselves living out our mature years. Surviving is not comfortable nor is it fun; surviving can be unnerving. Sadly, too many seniors merely survive retirement. The struggles are real, but you are not alone. Advance 2-1-1 Oklahoma is an easy-access system designed to offer information about and referrals to community services for both those who need help, and those who provide help. Find out what is available by calling 211, or, try out the new text service “211OK” by texting your zip code to 898-211. In Oklahoma City, Sunbeam Family Services, Catholic Charities, Legal Aid, Neighborhood Services Organization and The Salvation Army are a few agencies that stand ready to assist seniors, as well as, more than 60 food pantries. 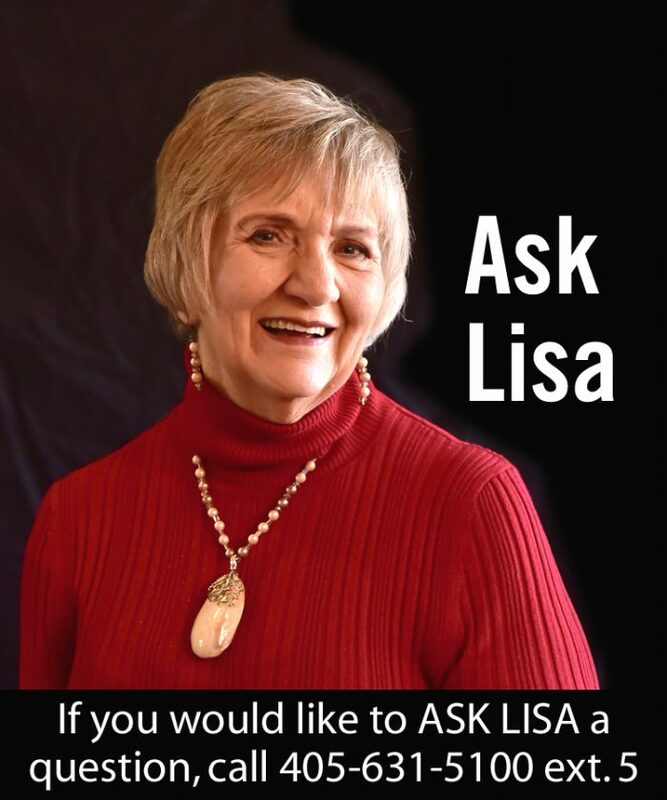 Senior News and Living OK has a dedicated phone line for you to ASK LISA questions or share information; please call 405-631-5100, Ext. 5 and leave your name, phone number, and a message regarding your concern. About four years ago, I was in the emergency room with family members, discussing the dangers of falling with a gentleman and his wife. The gentleman and I had both fallen that evening and were waiting our x-ray results. My son walked in and asked, “Mom, how bad was your fall?” Without hesitation, the gentleman said, “Young man, it is inappropriate to use obscene language in present company.” Raucous laughter followed as he explained, “FALL” is our new four-letter word. All agreed that a “FALL” was to be avoided at all costs! Winter weather is very unpredictable in Oklahoma; avoid wet or icy sidewalks and driveways. If you must be out in the weather take care of YOU; broken bones are no fun and recuperation is difficult!! Use your cane, walker, or a helpful arm when you must be out in the weather.